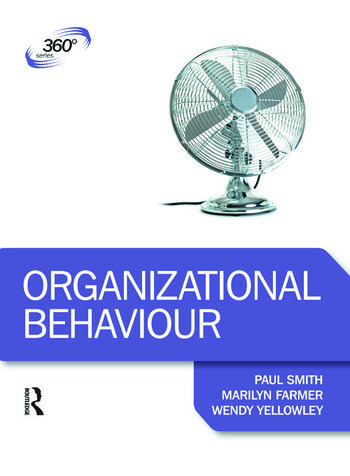 Clear, concise, and written by experts currently lecturing in the field, Organizational Behaviour focuses exclusively on what you need to know for success in your business course and today's global economy. Part of the 360 Degree Business series, which provides accessible yet stimulating introductions to core business studies modules, this textbook comes with additional support materials including further case studies, revision summaries and interactive multiple choice questions available online at www.routledge.com/cw/farmer. Paul E. Smith is Principal Lecturer in Human Resource Management at the University of Hertfordshire Business School, UK. Marilyn Farmer is Senior Lecturer in Human Resource Management at the University of Hertfordshire Business School, UK. Wendy Yellowley is Senior Lecturer in Human Resource Management at the University of Hertfordshire Business School, UK.